CHECK IN/OUT: Check in at 4 pm/Check out at 2 pm. 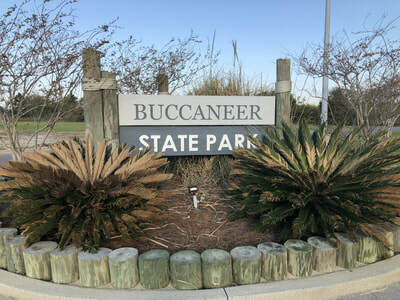 Buccaneer State Park land was recorded in history in the late 1700s when Jean Lafitte and his followers were active in smuggling and pirating along the Mississippi Gulf Coast. The French Buccaneer, Lafitte, inhabited the old Pirate House located a short distance from the park. The park site, also known as Jackson's Ridge, was used as a military base by Andrew Jackson during the Battle of New Orleans. Jackson later returned to this area and built a house on land that is now Buccaneer Stat. 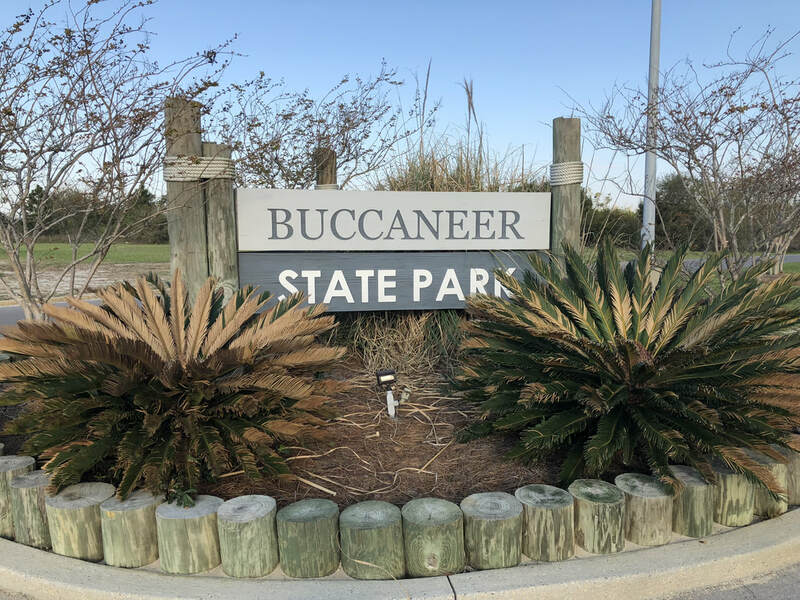 Hurricane Katrina in 2005 came ashore with winds of over 160 mph and a tidal surge of nearly 30 feet completely destroying all of Buccaneer State Park's structures, waterpark and support facilities. For eight years the park was under reconstruction with the final phase completed in November of 2013. 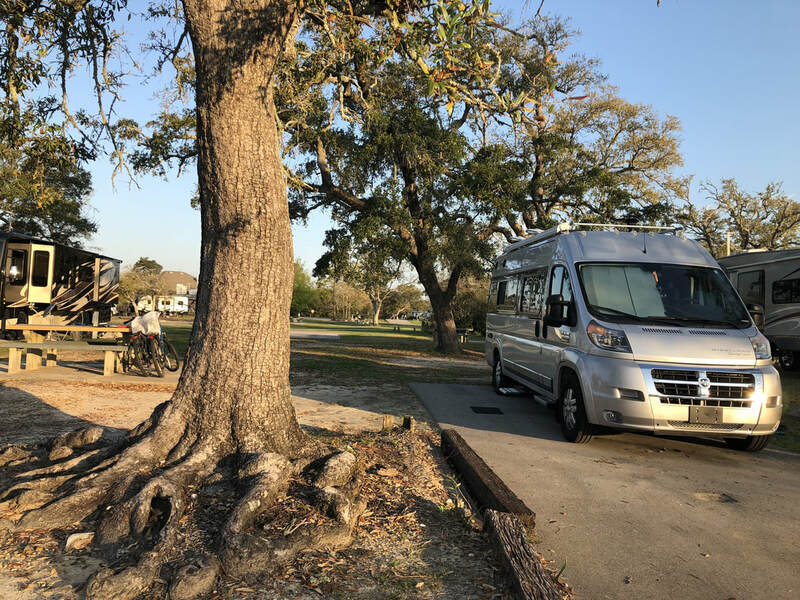 Today Buccaneer is beautiful in a natural setting of large moss-draped oaks and the Gulf of Mexico is just across the street. 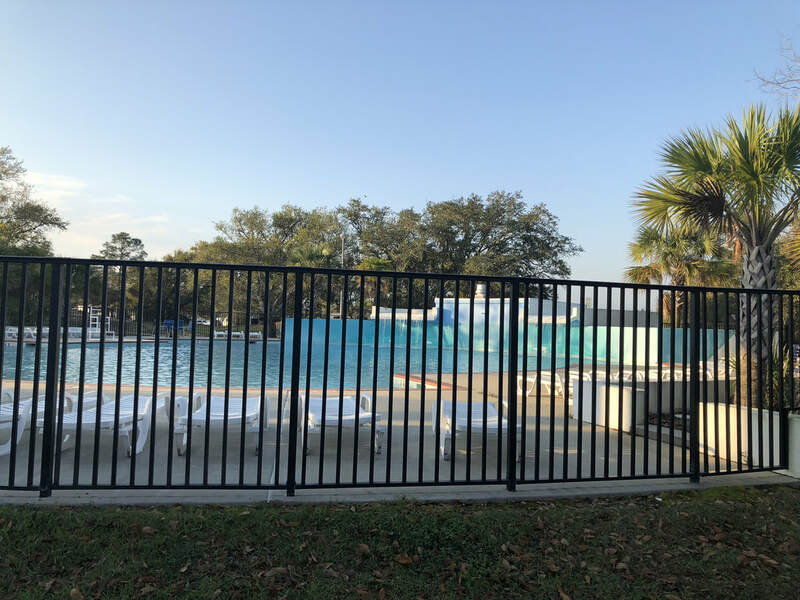 The waterpark is 4.5 acres and overlooks the Gulf of Mexico. It is open seasonally from Memorial Day to Labor Day daily 10 am to 6 pm. 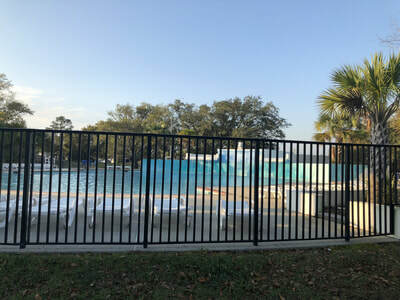 The main attraction is the Pirate's Lagoon Wave Pool that can create eight unique wave patterns. 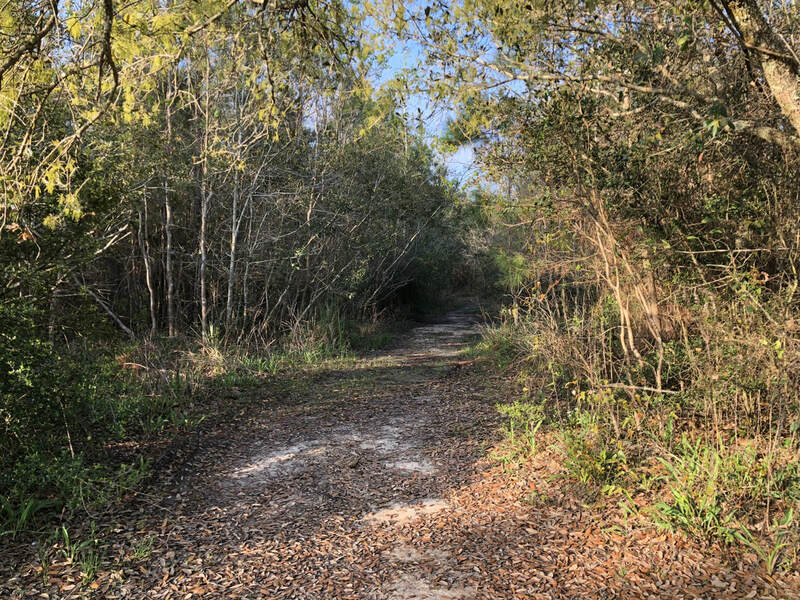 There is also a Par 3, 18-Hole disc golf course designed with natural obstacles and holes that come into play along the gulf. We camped here for two nights on our trip out west in March 2018. The park is great for bicycling and riding along the coast road. 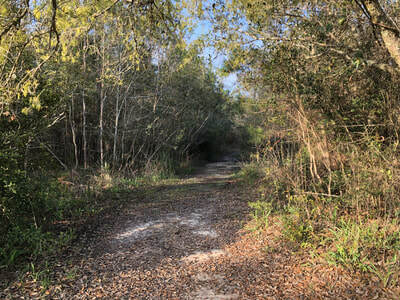 There is also a 1.8 mile nature trail with a pier that extends over Mud Bayou's canal. Take MS-43/MS-603 Exit 13, towards Bay St. Louis/Picayune. Turn LEFT onto MS-603 S, drive South 5 miles. Cross over US-90 onto Nicholson Avenue. Some GPS systems will direct traffic to South Street. This is not point of entry into the park. Use caution.